A three Judge Bench of the Supreme Court finally held that a Complaint of Dis-honour of Cheque can be filed only to the Court within whose local jurisdiction the offence was committed, which in the present context is where the cheque is dishonoured by the bank on which it is drawn. The Court clarified that the Complainant is statutorily bound to comply with Section 177 etc. of the CrPC and therefore the place or situs where the Section 138 Complaint is to be filed is not of his choosing. The Supreme Court in Dashrath Rupsingh Rathod Vs. State of Maharashtra & Anr. Overruled the two Judge Bench Judgment in K. Bhaskaran v. Sankaran Vaidhyan Balan (1999) 7 SCC 510 wherein it was held that “the offence under Section 138 of the Act can be completed only with the concatenation of a number of acts. 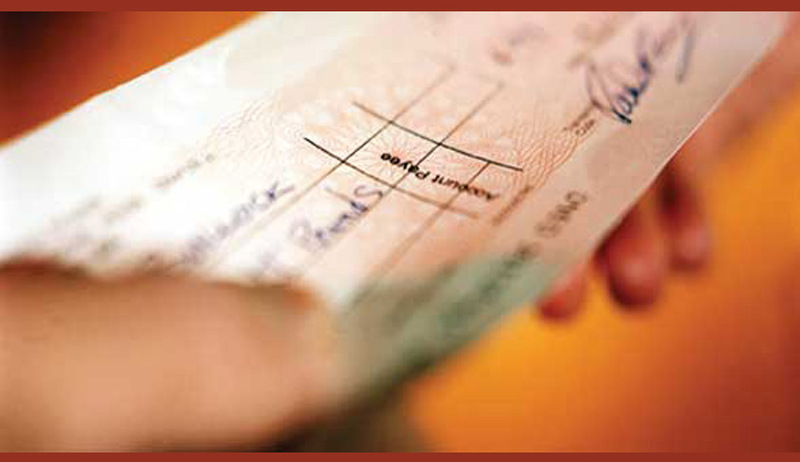 Following are the acts which are components of the said offence : (1) Drawing of the cheque, (2) Presentation of the cheque to the bank, (3) Returning the cheque unpaid by the drawee bank, (4) Giving notice in writing to the drawer of the cheque demanding payment of the cheque amount, (5) failure of the drawer to make payment within 15 days of the receipt of the notice”.” if the five different acts were done in five different localities any one of the courts exercising jurisdiction in one of the five local areas can become the place of trial for the offence under Section 138 of the Act. In other words, the complainant can choose any one of those courts having jurisdiction over any one of the local areas within the territorial limits of which any one of those five acts was done.” The Court accepted the view of another two Judge Bench Judgment in Harman Electronics Pvt.Ltd. v. National Panasonic India Pvt. Ltd. (2009) 1 SCC 720. “It is one thing to say that sending of a notice is one of the ingredients for maintaining the complaint but it is another thing to say that dishonour of a cheque by itself constitutes an offence. For the purpose of proving its case that the accused had committed an offence under Section 138 of the Negotiable Instruments Act, the ingredients thereof are required to be proved. What would constitute an offence is stated in the main provision. The proviso appended thereto, however, imposes certain further conditions which are required to be fulfilled before cognizance of the offence can be taken. If the ingredients for constitution of the offence laid down in the provisos (a), (b) and (c) appended to Section 138 of the Negotiable Instruments Act intended to be applied in favour of the accused, there cannot be any doubt that receipt of a notice would ultimately give rise to the cause of action for filing a complaint. As it is only on receipt of the notice the accused at his own peril may refuse to pay the amount. Clauses (b) and (c) of the proviso to Section 138 therefore must be read together. Issuance of notice would not by itself give rise to a cause of action but communication of the notice would.”. Harman approach is significant and sounds a discordant note to the Bhaskaran ratio. Harman also highlights the reality that Section 138 of the NI Act is being rampantly misused so far as territorial jurisdiction for trial of the Complaint is concerned. With the passage of time equities have therefore transferred from one end of the pendulum to the other. It is now not uncommon for the Courts to encounter the issuance of a notice in compliance with clause (b) of the proviso to Section 138 of the NI Act from a situs which bears no connection with the Accused or with any facet of the transaction between the parties, leave aside the place where the dishonour of the cheque has taken place. This is also the position as regards the presentation of the cheque, dishonour of which is then pleaded as the territorial platform of the Complaint under Section 138 of the NI Act. Harman, in fact, duly heeds the absurd and stressful situation, fast becoming common-place where several cheques signed by the same drawer are presented for encashment and requisite notices of demand are also despatched from different places. It appears to us that justifiably so at that time, the conclusion in Bhaskaran was influenced in large measure by curial compassion towards the unpaid payee/holder, whereas with the passage of two decades the manipulative abuse of territorial jurisdiction has become a recurring and piquant factor. The liberal approach preferred in Bhaskaran now calls for a stricter interpretation of the statute, precisely because of its misemployment so far as choice of place of suing is concerned. These are the circumstances which have propelled us to minutely consider the decisions rendered by two-Judge Benches of this Court. The Court found that the two Judge Benches of the Supreme Court and various High Courts are following the above two Judgments at their discretion. It is held that “The territorial jurisdiction conundrum which, candidly is currently in the cauldron owing to varying if not conflicting ratios, has been cogitated upon very recently by a two-Judge Bench in Criminal Appeal No.808 of 2013 titled Nishant Aggarwal v. Kailash Kumar Sharma decided on 1.7.2013 and again by the same Bench in Criminal Appeal No.1457 of 2013 titled Escorts Limited v. Rama Mukherjee decided on 17.09.2013. Bhaskaran was followed and Ishar Alloy and Harman were explained. Justice T.S.Takur who wrote a separate but concurrent opinion held that “Three recent decisions need be mentioned at this stage which have followed Bhaskaran and attempted to reconcile the ratio of that case with the subsequent decisions in Ishar Alloy Steels and Harman Electronics. In Nishant Aggarwal v. Kailash Kumar Sharma (2013) 10 SCC 72 this Court was once again dealing with a case where the complaint had been filed in Court at Bhiwani in Haryana within whose territorial jurisdiction the complainant had presented the cheque for encashment, although the cheque was drawn on a bank at Gauhati in Assam. Relying upon the view taken in Bhaskaran this Court held that the Bhiwani Court had jurisdiction to deal with the matter. While saying so, the Court tried to distinguish the three-Judge Bench decision in Ishar Alloy Steels (supra) and that rendered in Harman Electronics case (supra) to hold that the ratio of those decisions did not dilute the principle stated in Bhaskaran case. That exercise was repeated by this Court in FIL Industries Ltd. v. Imtiyaz Ahmad Bhat (2014) 2 SCC 266 and in Escorts Ltd. v. Rama Mukherjee (2014) 2 SCC 255 which too followed Bhaskaran and held that complaint under Section 138 Negotiable Instrument Act could be instituted at any one of the five places referred to in Bhaskaran’s case. We have, with utmost respect to the Judges comprising the Bench that heard the above cases, found it difficult to follow suit and subscribe to the view stated in Bhasakaran. (i) An offence under Section 138 of the Negotiable Instruments Act, 1881is committed no sooner a cheque drawn by the accused on an account being maintained by him in a bank for discharge of debt/liability is returned unpaid for insufficiency of funds or for the reason that the amount exceeds the arrangement made with the bank. (ii) Cognizance of any such offence is however forbidden under Section 142 of the Act except upon a complaint in writing made by the payee or holder of the cheque in due course within a period of one month from the date the cause of action accrues to such payee or holder under clause (c) of proviso to Section 138. (a) the dishonoured cheque is presented to the drawee bank within a period of six months from the date of its issue. (c) If the drawer has failed to pay the cheque amount within fifteen days of receipt of such notice. (iv) The facts constituting cause of action do not constitute the ingredients of the offence under Section 138 of the Act. (v) The proviso to Section 138 simply postpones/defers institution of criminal proceedings and taking of cognizance by the Court till such time cause of action in terms of clause (c) of proviso accrues to the complainant. (vii) The general rule stipulated under Section 177 of Cr.P.C applies to cases under Section 138 of the Negotiable Instruments Act. Prosecution in such cases can, therefore, be launched against the drawer of the cheque only before the Court within whose jurisdiction the dishonour takes place except in situations where the offence of dishonour of the cheque punishable under Section 138 is committed along with other offences in a single transaction within the meaning of Section 220(1) read with Section 184 of the Code of Criminal Procedure or is covered by the provisions of Section 182(1) read with Sections 184 and 220 thereof.